The shoulder girdle is a complex area involving the humerus, scapula, and clavicle as well as many ligaments, tendons, and bursa. Its inherent mobility compromises stability and can result in injuries. 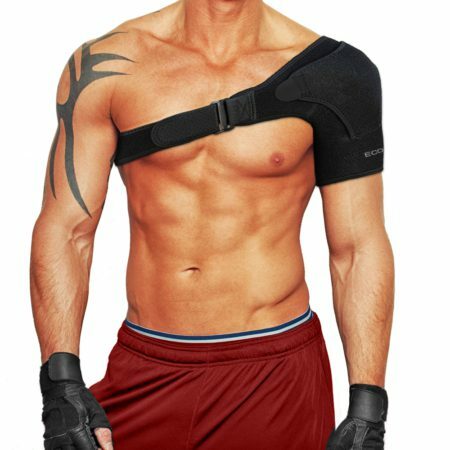 We would probably see many more injuries if this were a weight bearing joint. 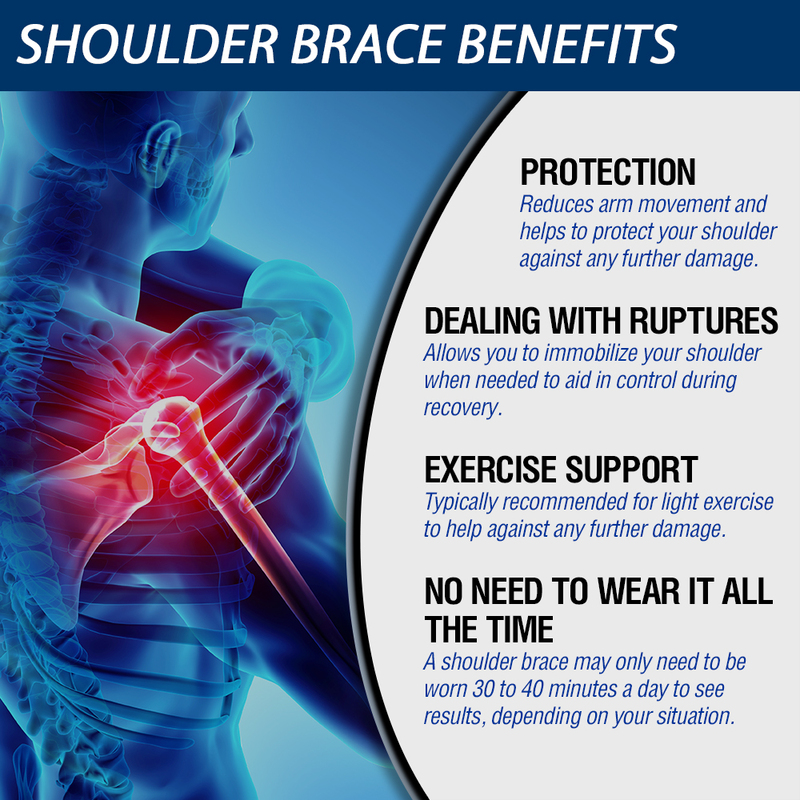 When the shoulder is injured it can be debilitating and cause a disruption in day to day activities. 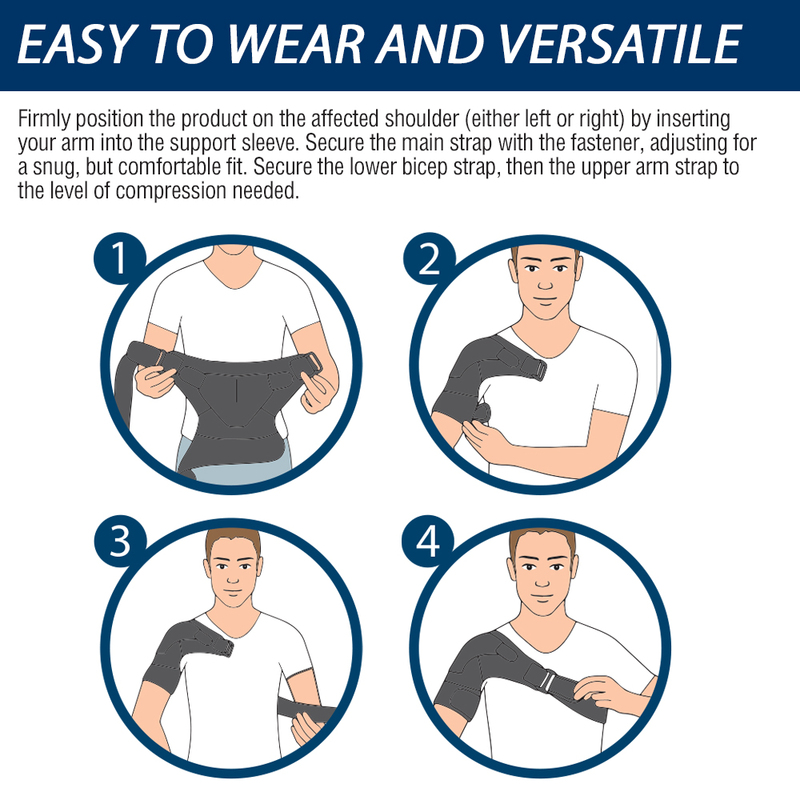 Depending on the injury, an arm sling, shoulder sling or shoulder support brace can help with the recovery process and reduce the risk of further injury. Coming back from a shoulder injury can be long and painful depending on the severity of it. It is best, as with most injuries, to recognize the signs, symptoms, and act on them rather than waiting until the injury becomes a limiting factor in your daily life. COMFORTABLE & ADJUSTABLE: The Pro Series Shoulder Strap is constructed of nylon, light-weight breathable neoprene material and reinforced plastic buckles. 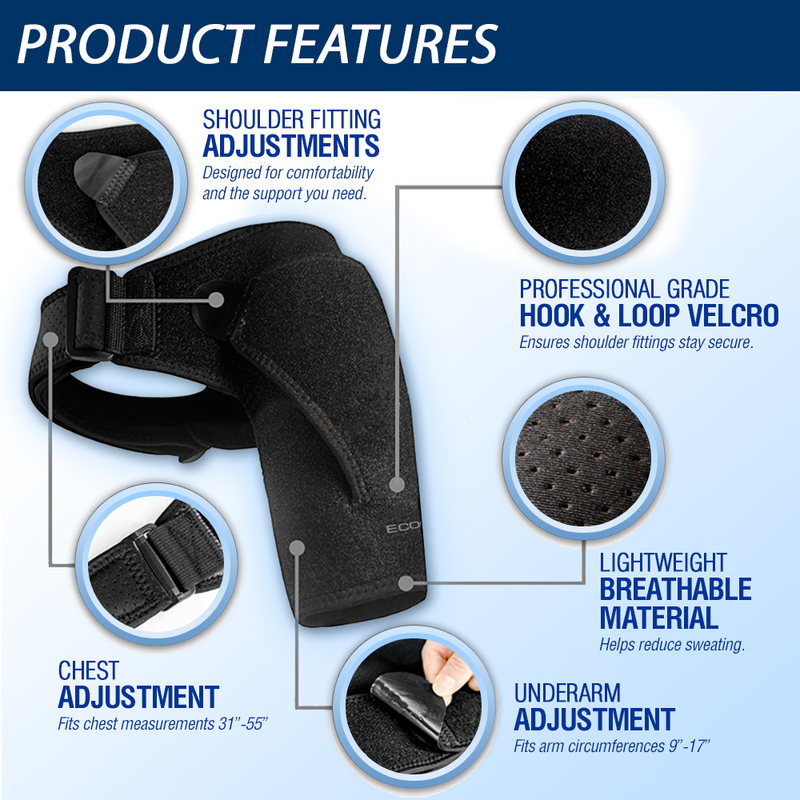 Velcro straps allow you to easily make adjustments for a comfort shoulder brace fit. 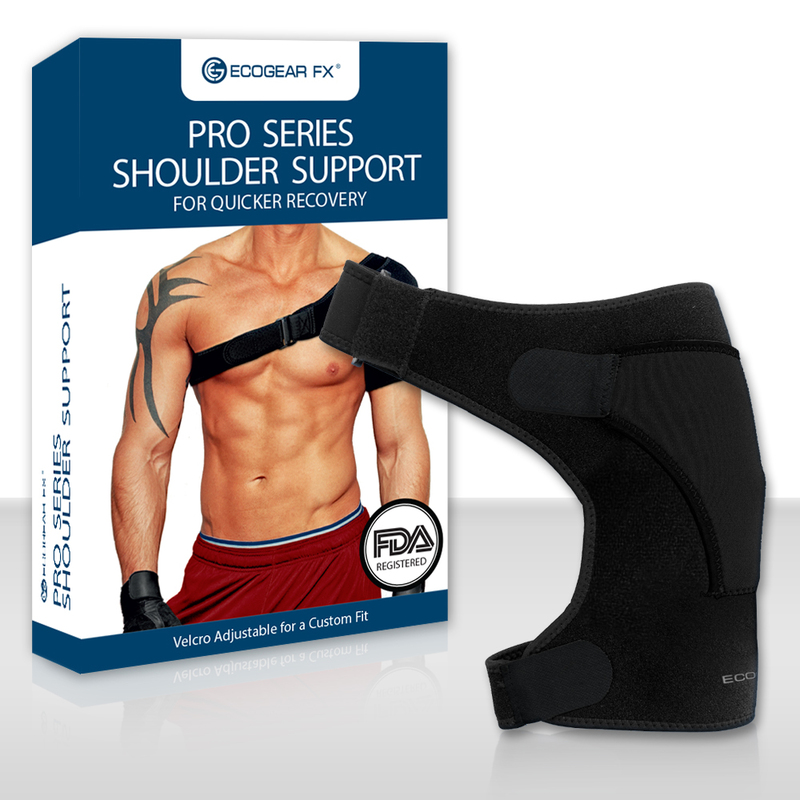 PROTECTS & SPEEDS RECOVERY: The Pro Series Shoulder Support Brace can be worn to help you recover from shoulder injury, to ease discomfort, to reduce shoulder pain and protect your shoulder from further injury. It can also help speed-up the recovery process and help you during any rehabilitation that may be necessary. EASY TO USE: Firmly position the product on the affected shoulder (either left or right) by inserting your arm into the shoulder support sleeve. Secure the main strap with the fastener, adjusting for a snug, but comfortable fit. Secure the lower bicep strap, then the upper arm strap to the level of compression needed.